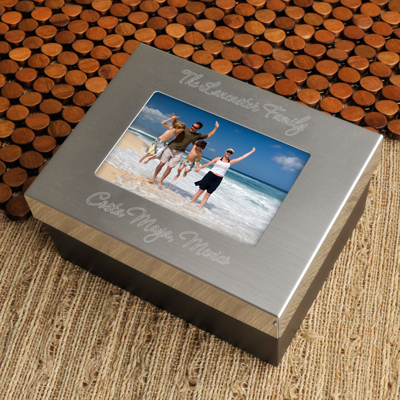 * Keep your treasures safe and sound with this attractive silver-toned keepsake box, just big enough for your beloved photos, artifacts, jewelry, or any other items that are near and dear to your heart. 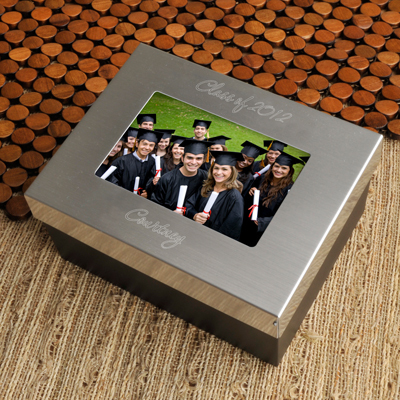 * Lid includes a place for your favorite snapshot and enough room for engraving names and a date. * Measures 6 1/2" x 5" x 3 1/8". * Glass measures 4 1/8" x 2 3/4" and holds a 3 1/2" x 5" picture. 6.5" x 3.125" x 3"